Inside of Planetary Gearbox, the driving power through direct connection or link initiates the sun gear. The sun gear then drives the planetary gears assembled with the external gear ring to operate. 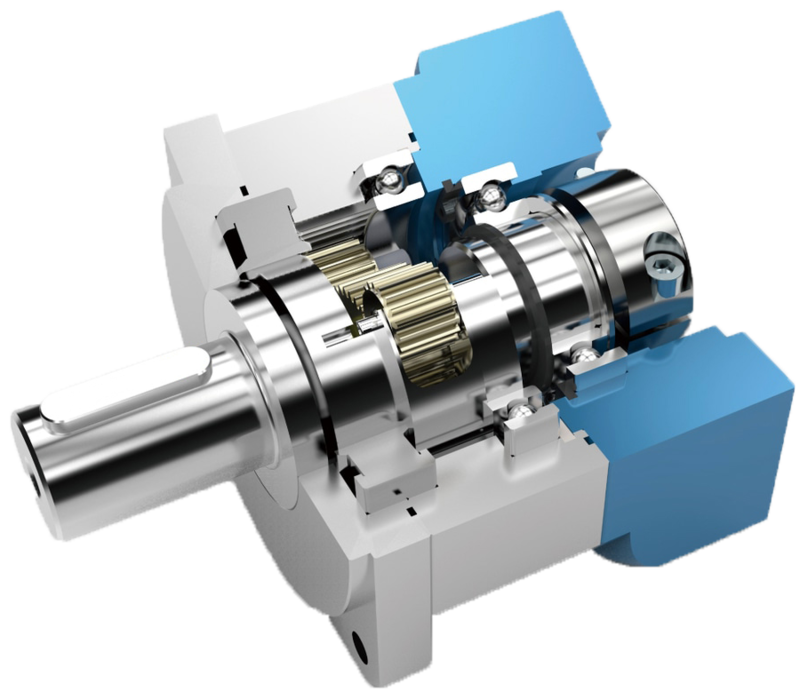 The whole set of planetary gear system revolves on its own axis and along the external gear ring where the output shaft connected to the planetary carrier achieves the goal of speed reduction. A higher reduction ratio can be achieved by doubling the multiple staged gears and planetary gears. The method of motion of a planetary gear structure is different from traditional parallel gears. Traditional gears (helical gear system) rely on a small number of contact points between two gears to squeeze as the driving force, where all the loadings are concentrated on a few contacting surfaces, making the gears easy to wear and crack. But the planetary speed reducer has six gear contacting surfaces with a larger area that can distribute the loading evenly over 360 degrees. Multiple gear surfaces share the instantaneous impact loading evenly which make them more resistant to the impact from higher torque. The housing and beaning parts will not be damaged and crack due to high loading. Copyright 2014 © Varitron Engineering (Taiwan) Co., Ltd. All Rights Reserved.